"Hitchcock and Twentieth-Century Cinema" looks at the work, influences, legacy and style of one of cinema's most famous directors. Alfred Hitchcock worked in Britain and America, in silent and sound films, and through and beyond the studio system, all the time appealing to mass audiences while employing his own distinctive style. This book examines how he was affected by German cinema, British writing, the Hays Code and his own upbringing to produce films that challenged key notions of acting, sexuality, mise-en-scène and narrative convention. John Orr contends that Hitchcock is a matrix figure who forged a new dynamics of exchange and of re-made identities in the feature film that in turn has influenced film noir, neo-noir, the French New Wave and David Lynch, as well as countless filmmakers all around the world and, indeed, continues to do so. Another book on Hitchcock? Saying something new about Hitchcock is indeed a tall order. However, John Orr's painstaking location of the director's work in relation to the major achievements of silent cinema, to the films of Murnau, Lang and Eisenstein, together with his perceptive demonstration of the central importance of Hitchcock's work to British and American popular cinema, to European art-house directors, and to contemporary filmmakers as diverse as David Lynch, Gus Van Sant and Wong Kar Wai, is a substantial achievement. 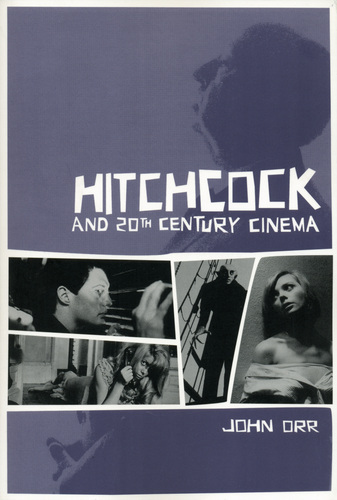 The book, grounded in a deep and comprehensive knowledge of film history as well as a detailed and subtle critical knowledge of Hitchcock's films, is an important and welcome addition to the literature on the director. — Tom Ryall, Sheffield Hallam University, author of "Alfred Hitchcock and the British Cinema"